A crime drama, Live By Night carries plenty of style but also too much plot. The story of an Irish gangster carving his way through a life of crime is scattered and fails to build effective momentum. In Boston of the 1920s, war veteran turned independent gangster Joe Coughlin (Ben Affleck) falls in love with Emma Gould (Sienna Miller). She's the floozy of gang lord Albert White (Robert Glenister), who is embroiled in a turf war with rival mobster Maso Pescatore (Remo Girone). Coughlin is of Irish descent, and the son of respected police captain Thomas (Brendan Gleeson). Joe is eventually betrayed and almost killed by White, but survives. After a stint in prison Joe joins Maso's gang and with his loyal sidekick Dion (Chris Messina) relocates to Ybor City, an immigrant dominated, crime infested neighbourhood of Tampa, Florida. Joe establishes an alliance with the local Cuban gang and builds an impressive crime empire capitalizing on the illegal rum trade. He also falls in love and eventually marries Graciela (Zoe Soldana), the sister of a Cuban crime lord. Joe maintains an uneasy understanding with Ybor's Sheriff Irving Figgis (Chris Cooper), but their relationship sours when Irving's dim witted brother-in-law R.D. Pruitt (Matthew Maher), a member of the Ku Klux Klan, tries to muscle in on Joe's profits. Meanwhile, Joe tries to expand into the casino business, but there are more unexpected troubles in the form of Irving's daughter Loretta (Elle Fanning). 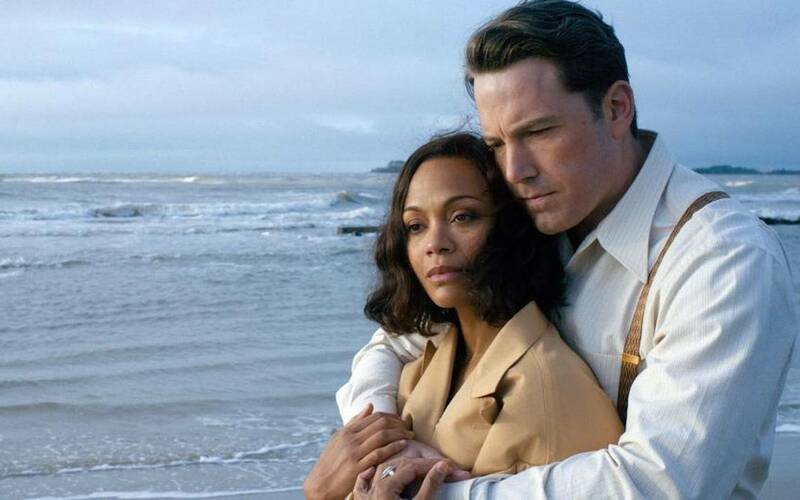 An adaptation of the Dennis Lehane book written for the screen and directed by Affleck, Live By Night has a lot going on and nothing going on. The drama motors on from Boston to Tampa, featuring a dizzying number of gangsters hissing at each other, but the film never grabs hold of a compelling narrative arc. This is the story of Joe Coughlin and he is the one constant, but Affleck plays the central character as a laid back soft spoken type, his obvious narration droning on as he disappears into the set. It's a problem when the assorted villains who enter and exit every other scene are much more colourful than the presumed protagonist. The film is a demonstration of more is less. A dedicated focus on fewer story lines may have improved control of the material. Instead the overflow of plot and characters eventually overtakes the film, and plenty of seemingly important conversations and incidents start to happen off-screen. Joe's father appears magically at the right time and in the right place to intervene in a murder-in-progress. Joe seems to take over Ybor City in a remarkable hurry, and wins Graciela's heart even quicker. After a long build up, the resolution of the KKK problem is rushed. Major chunks of Loretta's story are summarily dealt with in a few words. Late in the film two adversaries become allies with barely an explanation. And even critical battlefield tactics are botched, Affleck choosing to talk about rather than demonstrate Coughlin's ability to influence goons in battle. Affleck does have an eye for creating beautiful settings, and the film is awash in vivid colours and plenty of artistry. The camerawork is fluid, capturing bustling neighbourhoods and idyllic landscapes. And some of the climactic showdowns with the head baddies are well constructed. A large cast supports Affleck's docile take on Coughlin. By far the most memorable is Elle Fanning as the enigmatic Loretta. In just a few scenes she demonstrates what intense charisma can accomplish, and the film would have hugely benefited from investing more in her story. 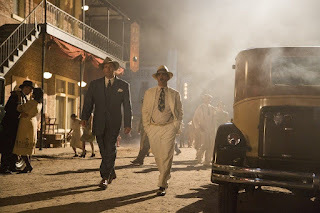 Live By Night may suggest an adventurous lifestyle, but this is a fragmented, surprisingly dull and ultimately unsatisfying experience.